I am down to the last of these to sell and distribute. For the last it seems simplest to open it up on here with a paypal button and stock control. There is also "British Blades" engraved on the spring spine. 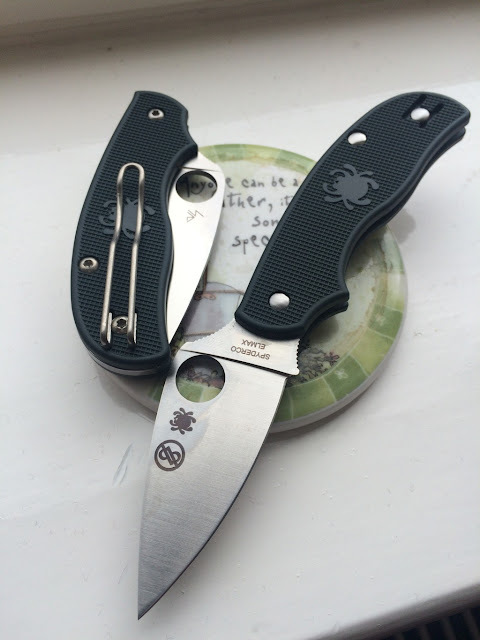 This is the forum knife that was produced by Spyderco for us. It's the Urban model with British Racing Green FRN handle and Elmax for the blade. Price is £60 delivered in the UK only.